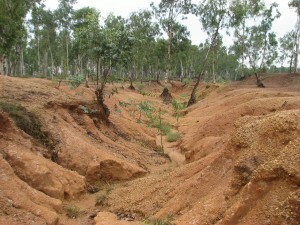 Places to see in Santiniketan: Santiniketan, rich with its culture and heritage features a number of sight seeing spots. The most significant site is the Visva Bharati University and its different departments, the most notable being the Kala Bhavan. You can spot some frescoes and sculptures of Nandalal Bose, Ramkinkar Baij around Kala Bhavan. Tagore’s Ashram features a number of buildings namely the Santiniketan building, Dehali, Nutan bari and others. School classes and some major activities are held in the Amro Kunja (Mango Grove). The place also houses some institutions of Viswa Bharati. You can also spot a hillock featuring an age-old banyan tree on the eastern side of the ashram. The Uttarayan complex has several buildings like Konark, Udayan, Shyamali and others. 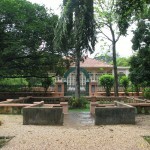 The Rabindra Bhaban Museum popularly called Bichitra houses letters, manuscripts, medals, documents, paintings and certificates associated with Tagore. 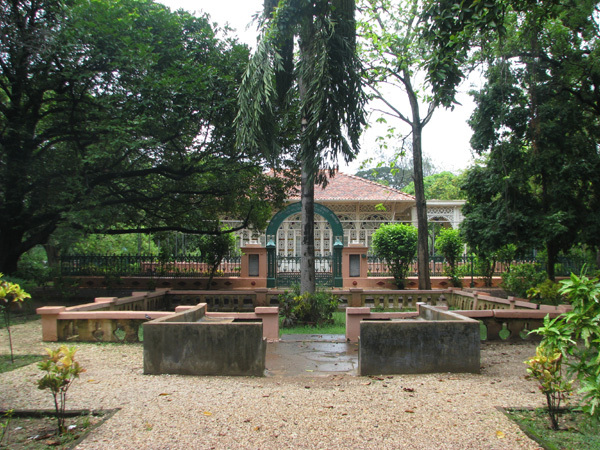 Chatimtala is the place where Rabindranath’s father Debendranath Tagore rested during his visit to a nearby Zamindar House and discovered the serenity of present Shantiniketan for the first time. 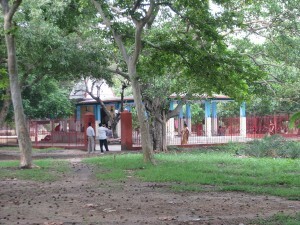 This spot has been marked by a pulpit to commemorate the founding of Shnatiniketan. 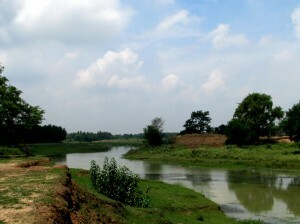 Khowai region and Kopai River (Rabindranath’s Amader Choto Nadi) are other destinations where you can spend some time. Apart from this, you can also visit Hindi Bhavan, Cheena Bhavan, Nipon Bhavan, Sangeet Bhavan, Patha Bhavan, Vinaya Bhavan, Sihsha Bhavan, Kaalo Bari etc. 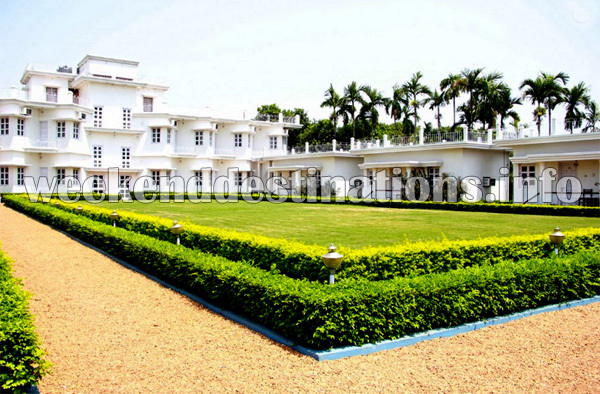 The campus of Shantiniketan is also worth visiting. Nearby attractions of Santiniketan: Kankalitala, just 9 km from Santiniketan is a temple popular as a Satipeeth. Surul, located near Sriniketan, features temples decorated with terracotta carvings. You can also visit another Satipeeth at Labhpur-Fullara, just 30 km. from Santiniketan. Tourists also visit Nanoor, famous as the birthplace of the Sanskrit poet of the 14th century – Chandidas. Kendubillo is another destination, popular as the hometown of another renowned Sanskrit poet, Jaidev. You can also make trip to Bakreshwar, the famous satipitha, housing the Bakranath temple and hot springs. Tarapith, the famous Saktipeetha, is also visited from Santiniketan. Nalhati and Sainthia also attract tourists visiting Santiniketan. Some tourists also organize tour to Massanjore featuring a dam built across the Mayurakshi River, housing a splendid reservoir. Things to do in Shantiniketan: You can spend hours visiting the different sites of Santiniketan and experiencing the village life. You can also take a guide to explain all the details of the sites. Visit a number of fairs held in the region throughout the year, the most notable being Poush Mela, Basanta Utsav, Nandan Mela, Magh Mela, Barsha Mangal etc. Regular weekly markets (Haat) selling all local handicrafts can be found at Sonajhuri Haat held near the Khoai region. How to reach Shantiniketan: Santiniketan is accessible by a number of conveyances including trains, bus and cars. The nearest railway station of Santiniktan is Bolpur and Prantik, which can be reached from Kolkata in two to three hours. You can avail the trains like Shantiniketan Express and Viswa Bharati Fast Passenger. If you prefer the bus route, then you need to avail the Kolkata-Asansol bus or Kolkata- Durgapur bus, which will take you to Panagarh respectively. From these respective stops, you need to catch another bus to Santiniketan. Santiniketan is located 212 kms from Kolkata by roadway, which takes around 3-4 hour to reach. So, you can also drive along the Durgapur Expressway heading towards Bolpur by crossing Bardhaman, Panagarh and the Ajay River crossing. 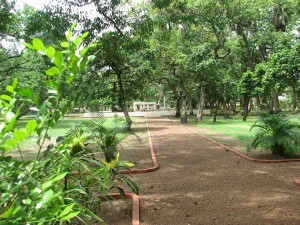 Best time to visit Shantiniketan: You can visit Santiniketan at any time of the year. Lodging and dining facilities in Santiniketan: There are many hotels available at Shantiniketan. Our hotel has AC as well as non AC rooms with attached western bathrooms, separate dining area, play area, parking area, a lush lawn, a garden, 24 hrs power supply, 24 hrs security, sitting room, restaurant & bar and a pond. The hotel is located at Sriniketan. All rooms are equipped with TVs, windows facing gardens and wardrobes.